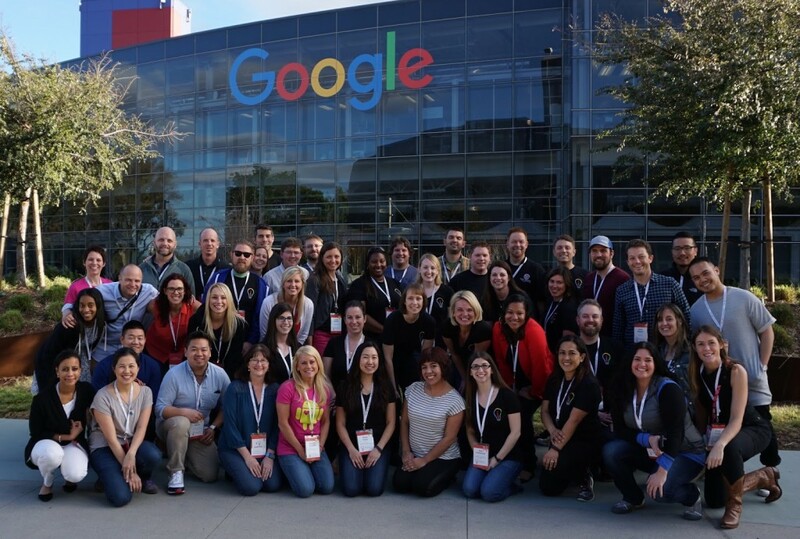 Just over a month ago, I was selected to attend the Google for Education Certified Innovator Academy at the Googleplex in Mountain View, California along with 33 other incredible educators. Our mission? Improve the world of education through innovative methods. For three days, we underwent high energy, uplifting, and motivating experiences, including designing innovation projects, networking, and learning from a number of extraordinary individuals. These are six major takeaways that have stayed clear in my mind. My Innovation Coach, Jay Atwood, led a session on “Finding Your Hedgehog.” This concept stems from Jim Gordon’s book Good to Great and revolves around a parable between a fox and the eponymous cute mammal. While a fox attempts to eat the hedgehog in a variety cunning and clever ways, the hedgehog continually rolls up into the spiny ball, thus protecting himself. The fox is good at many things, but the hedgehog is great at one thing. In education, we are often flooded with so many new ideas and want to try them all. Would you rather be good at many things or excel in one great thing? Find your one thing and let it drive you. Another eye opening session delved into the topic of “Yes, and…” versus “Yes, but…” The concept may seem trivial at first, but think of the connotation behind those words. “But” throws up a roadblock, while “and” opens up the freeway. Apply this in your classroom or school. When a student comes to you with an idea that seems ridiculous or impossible, respond with “Yes, and…” to scaffold them through thinking. If you’re on the administrative side of things, same applies with your teachers. Empower everyone to have a voice and stake in the change they want to see. In the late 1800s people needed brighter and longer-lasting candlelight to do their daily tasks at night. Some people solved the problem by making fatter candles. Thomas Edison innovated by creating the first commercially viable light bulb. This brief lesson in history was shared by Gina Rosales of X, and opened our eyes to what innovation really means. Putting a worksheet on a digital delivery system is not a real change. Real innovation comes from throwing out our preconceived notions of “the way we’ve always done it” and looking for brand new solutions. Kevin Brookhouser tasked us with drawing a toast making procedure. However, we could not use any words in our drawings and had one sheet of paper. What does this have anything to do with coding? That’s exactly the point he was trying to make. Coding often conjures up images of people in a dark room, crouched over desks writing lines of incomprehensible text. Coding is so much more than that. It is a school of thought, problem solving, and develops critical thinking skills. We’ve all heard the statistic that coding will be invaluable to many students in the coming decades, but he proved that the thought behind coding will serve all students well in any career path. 5. Why Memorize When We Have Google? The last takeaway has nothing to do with technology or Google. Roni Habib came to share about happiness and mindfulness, and when he left there wasn’t a single person without a broad smile across his or her face. We threw around an imaginary ball (complete with sound effects) wrote our names in the air with our hands, arms, and hips, and had time to recenter. In education, we are so inundated with new mandates, research, and professional development that happiness and mindfulness is overlooked. The benefits of practicing this with your class or staff can make a world of difference. These are just six of approximately one billion takeaways from the Google Innovator Academy. When done right, these six (plus the other billion) all have the ability to change the face of education as we know it. What will you do tomorrow to be an innovator?